Yesterday was my eco-craft sessions at Diva Day at Thrive! 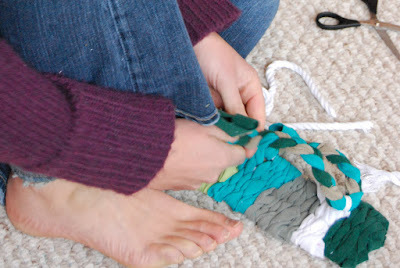 Naturally where I taught wonderful ladies how to turn old, used t-shirt into Nuno-Zori (Japanese cloth sandals). 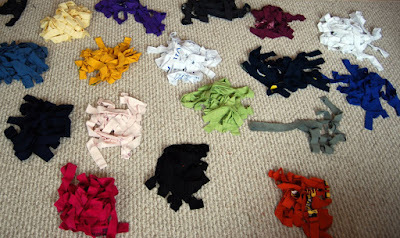 T-shirts all cut up into strips. Weaving the strips of t-shirts. I had such a great time getting to know all the ladies and was so excited to see them be able to make something to take home. 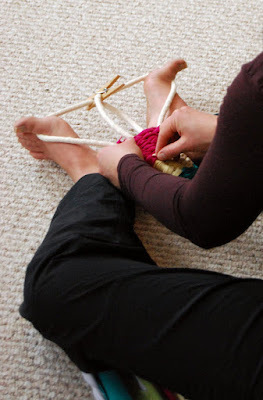 If you are interested in making yourself a pair there's a great tutorial here. amazing is right, and how lucky are we to have her up here?? Momo.. you are a true DIVA! OMGsh I just found your blog today and spent most of the afternoon going through everyone of your posts. I love your blog. Thank you so much for sharing all your ideas. Your blog is full of great ideas!